included a convertible hover car and a flaming hover board. 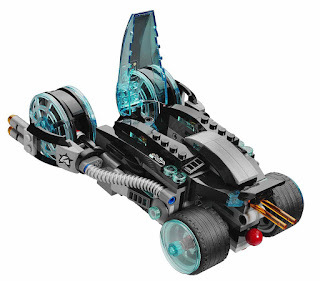 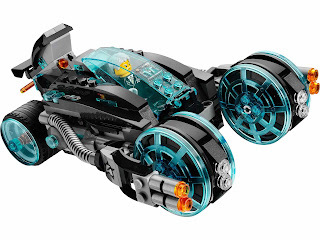 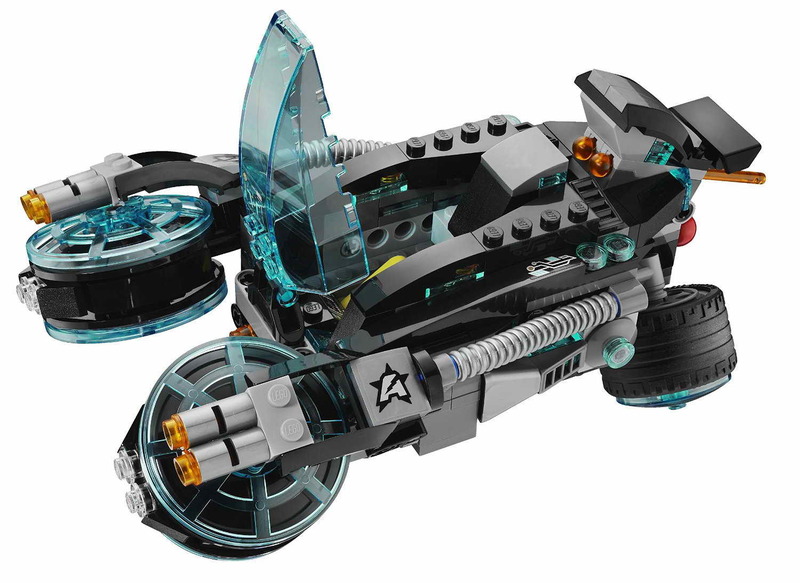 the car has an openable cockpit, foldable hover mode wheels, dual laser cannons, hidden rear automatic missile shooters and an ejectable seat. 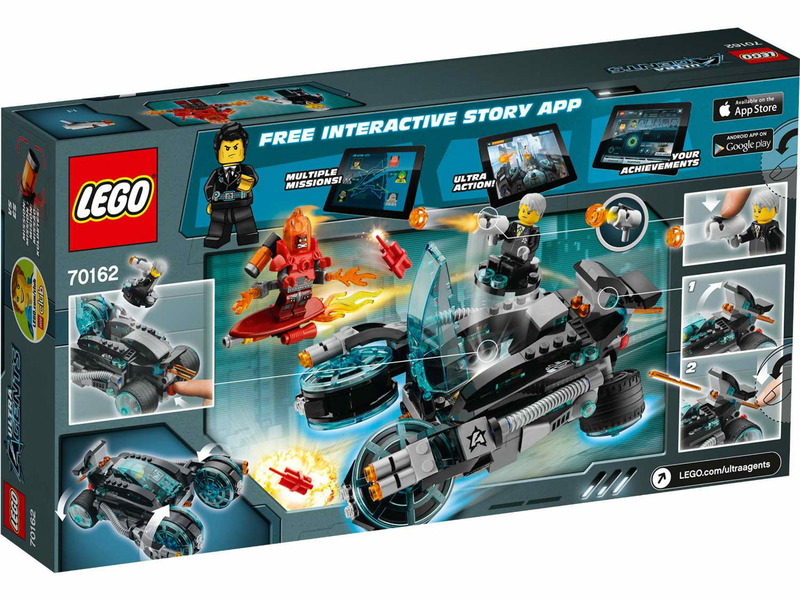 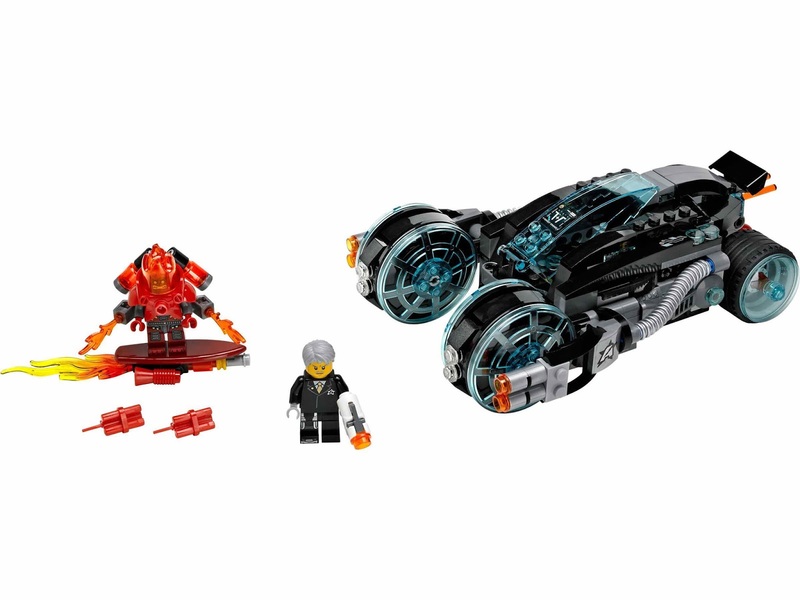 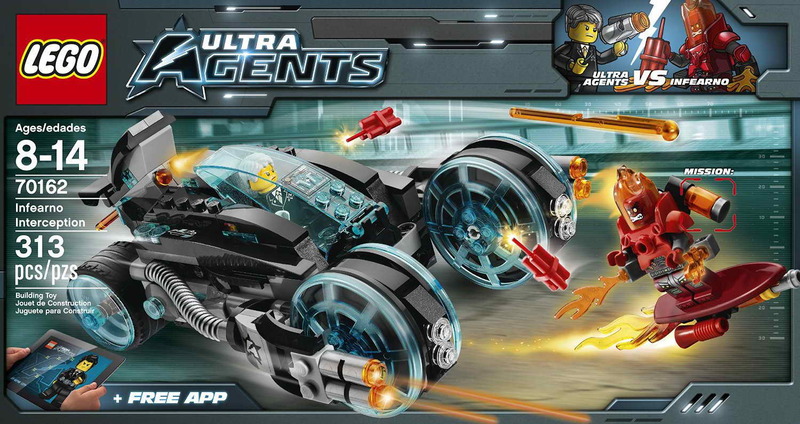 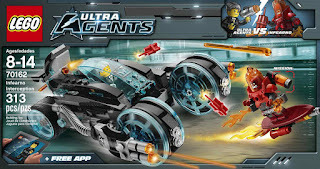 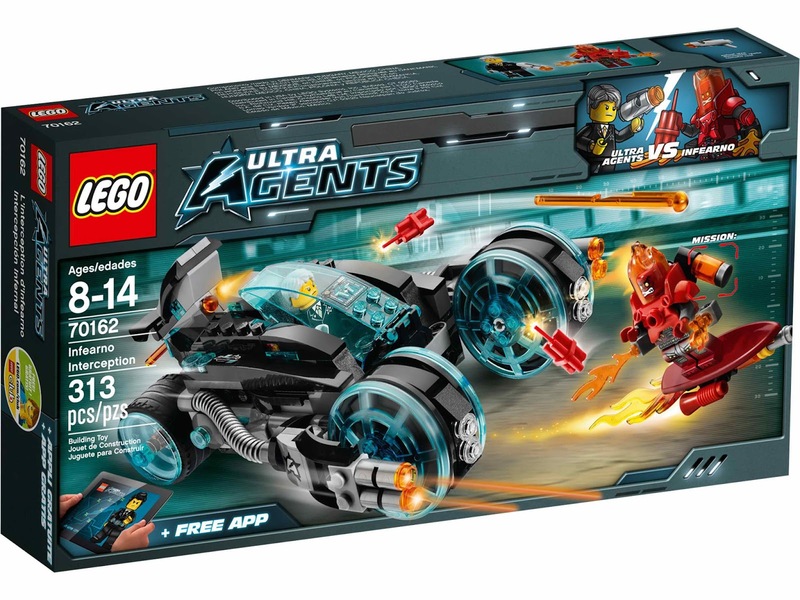 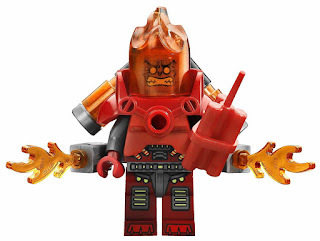 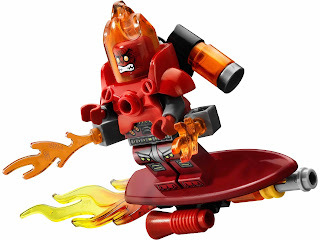 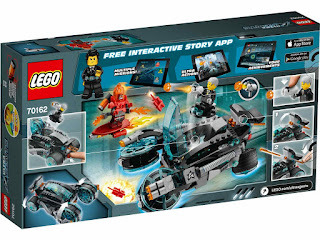 minifigs included an agent solomon blaze minifig and an infearno minifig.